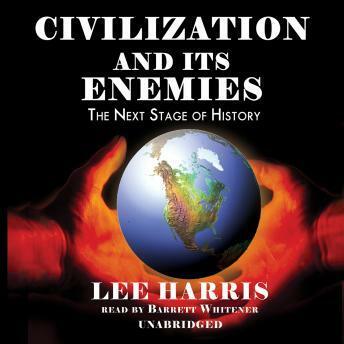 Civilization and Its Enemies is an extraordinary tour de force by America's reigning philosopher of 9/11, Lee Harris. In it, Harris focuses on the next great conflict: the war between the civilized world and the international terrorists who wish to destroy it. Harris's brilliant tour through the stages of civilization, from Sparta to the French Revolution to the present, demonstrates that civilization depends upon brute force, properly wielded by a sovereign. Today, only America can play the role of sovereign on the world stage, by the use of force when necessary. Lee Harris's articles have been hailed by thinkers from across the spectrum. His message is an enduring one that will change the way readers think, about the war with Iraq, about terrorism, and about our future.